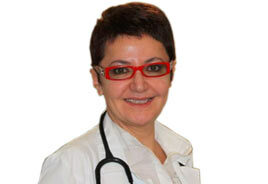 Anzhela Dvorkina is a Board Certified Internal Medicine physician with over 30 years of experience. Doctor Anzhela Dvorkina graduated from State University of New York Downstate Medical Center in the year 1983 and was awarded the doctor of medicine degree. Since then she has received numerous awards from local authorities in the state of New York. Dr. Dvorkina is currently working at Century Medical & Dental Center.